I spent the month of August getting new eyes—lens replacement, to be specific—while my husband decided it was time to retire from the film biz and do total replacement surgery for his right knee. You could say we’ve entered into the age of titanium. And with my new, 17-year-old vision, I struck out on a reading journey (binge) that consisted solely of guilty prose pleasure. No business books. No leadership books. No negotiation books. No self-help books. I devoured all 13 of Louise Penny’s crime novels, featuring the gentleman detective of Montreal, Armand Gamache. And then I tagged on three of Donna Leon’s whodunit novels set in Venice. Both authors made me hungry. Coq au vin, tartes, croissants, pasta. Fat, sugar, bliss, along with lessons in history, art, and cultural geography with Google on constant standby. In the middle of all of that respite I continued working with clients and noticed how much my work with them was beginning to change. Musing on this, I made the wild leap in logic that great detective novels should be placed on bookshelves right next to negotiation books like Never Split the Difference and Negotiation Genius. I saw the principles, strategies, and tactics in both intimate and high stakes circumstances play out in the intricate fictional narratives. Who, what, when, where, how, and why. In all of the novels, what captured my attention most was the finely-honed art of asking open-ended, diagnostic questions—the work horse of interest-based negotiation and crime solving. Asking questions to discover what motivates your negotiation partner (or suspect), who they are, what they want, what they fear. 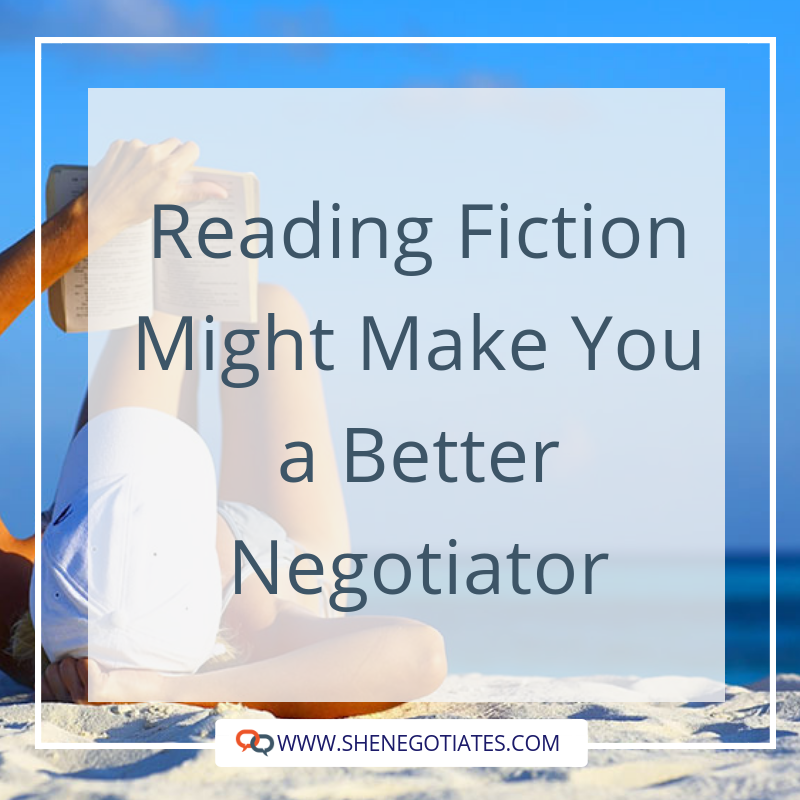 For the negotiator, those answers help you find your way to yes. To possibility. (Here's a script demonstrating those questions in action.) For the detective, those questions might lead the suspect into a boxed canyon. No way out. I invite you to learn how to weave the two together. Follow all those links, my friends. They are breadcrumbs leading you to the nature of human beings in love and war. And an invitation to you all to negotiate with yourselves for the space and time and expansion that a vacation of the mind can provide. get strategic about your next negotiation! New Rule: Don't Trust. Verify. "I know I Should Negotiate but I'm Just Not that Motivated by Money"
Do You Really Know What You Bring to the Party?